The many common causes of temple headaches range from tension-type headaches to migraines, and even dental problems. Headache pain at the temples can also occur after a concussion. Other serious causes, such as meningitis and tumors, can produce temple headaches, but they tend to produce other symptoms as well. A tension-type headache is the most common form of headache. The pain is generally located on both sides and is squeezing, pressing and bandlike in nature, sometimes extending to the back of the head. Muscles in the area of the headache might feel mildly tender to the touch. There may be slightly blurry vision but no other vision changes. 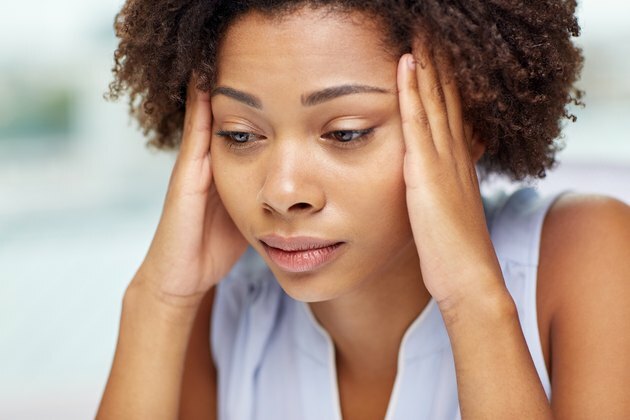 In contrast to migraines, tension-type headaches generally do not worsen in response to bright light, sounds or head movements, and nausea and vomiting generally do not occur. If the pain is severe or involves eye redness, tearing or pupil changes, it could be a different kind of headache called a cluster headache. Migraines affect 6 percent of men and 18 percent of women, according to the American Headache Society. Pounding or throbbing pain is typically located on one side of the head or temple, although both sides are sometimes involved. Pain also sometimes occurs behind the eye. Sensitivity to light, sound and movement is characteristic of a migraine, as is nausea and vomiting. 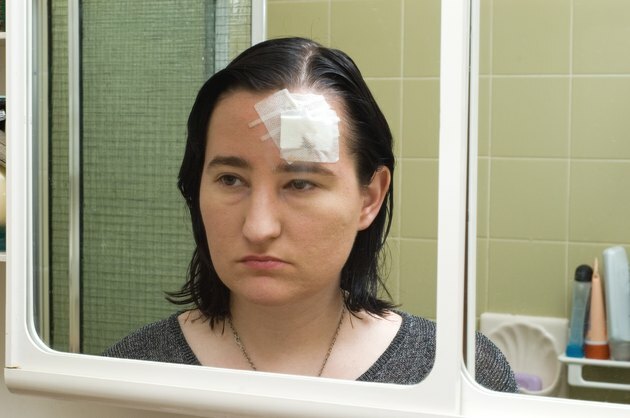 Some people have an aura -- a temporary visual disturbance -- before or during their migraine. Auras can include seeing flashing lights or distortions like the visual effect of heat rising from hot pavement. Temporary dizziness, numbness, difficulty speaking or, rarely, difficulty moving may also occur. If you experience any of these symptoms, seek medical evaluation. Temple headaches may occur after a concussion, even if there's no serious brain injury or loss of consciousness. A blow to the head may produce symptoms like confusion, altered memory, moodiness, altered sleeping patterns, or problems with speech, coordination or balance. Temple headaches that occur after a concussion -- known as acute post-traumatic headaches -- may be similar to tension-type headaches or resemble migraines. They generally respond to the usual treatment for whichever headache type they most closely resemble. Post-concussion headaches usually resolve within 3 months after the injury. Temple headaches can be triggered by dental problems, including abnormal function of the jaw joint. 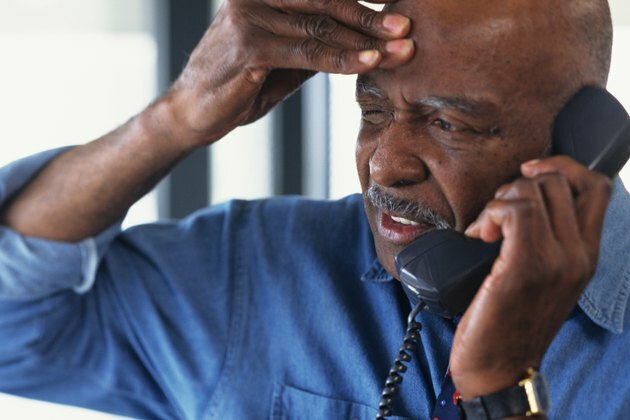 A temple headache in someone over age 50 might be a symptom of giant cell arteritis, which is a type of inflammation of the temporal blood vessels that might progress to vision loss. 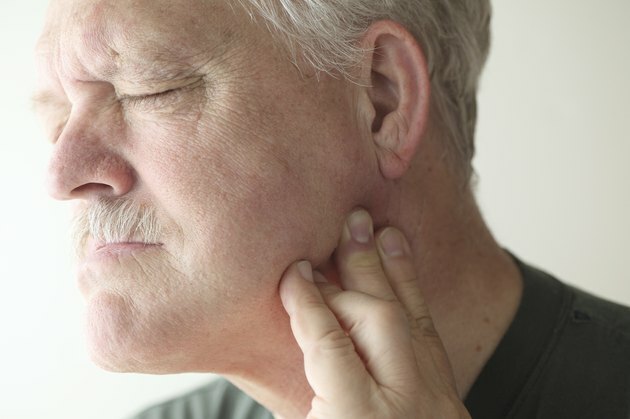 Giant cell arteritis may also cause pain with chewing, fatigue, scalp tenderness, low fever and unintended weight loss. Increased pressure inside the brain -- from tumors or bleeding in or around the brain, for instance -- can cause temple headaches. But these conditions are accompanied by other nervous system symptoms, such as vision changes, nausea and vomiting, and trouble with balance. Sudden, severe headache and stiff neck can signal a hemorrhage, while a headache with a fever and stiff neck might indicate meningitis. 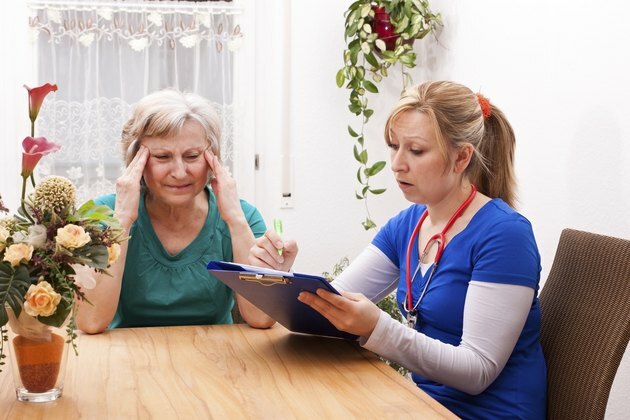 Seek medical attention immediately if you have a headache that is much more severe than you have experienced before, especially if it is sudden and involves a stiff neck, fever, double vision, or changes in your sensations, balance, walking or wakefulness. Even if your headache is not severe, see your doctor if you experience any changes in vision, hearing, balance, speech, sensation or movement. Also seek care if you have had a recent head injury that has not been medically evaluated or if you have any other concerns.